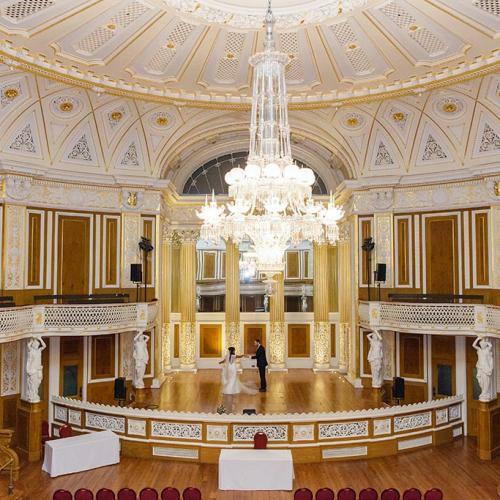 The Victorian interior features an opulent crystal chandelier, walls lined with Goddess-like statues and angelic cherubs – all decorated in gentle tones of cream, white, honey and gold. 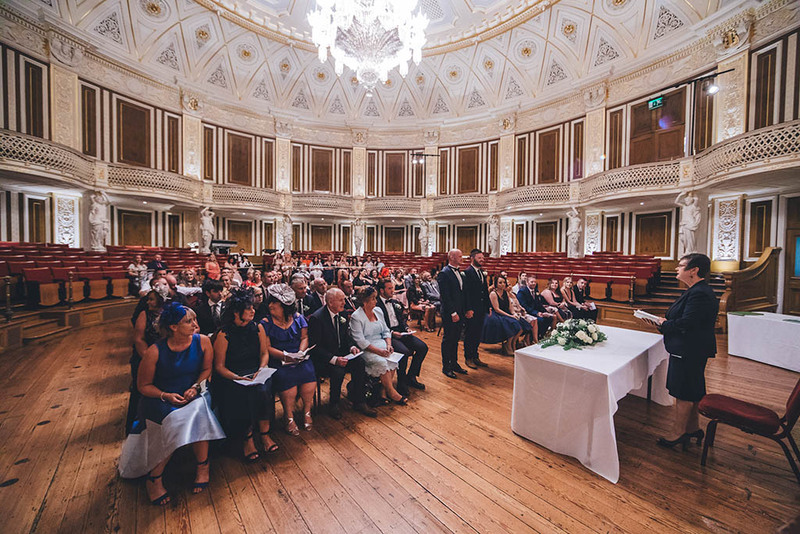 Ravenhead glass mirrors create stunning reflections around the featured stage, which offers a perfect space for a string-quartet or pianist to perform and enchant your guests. 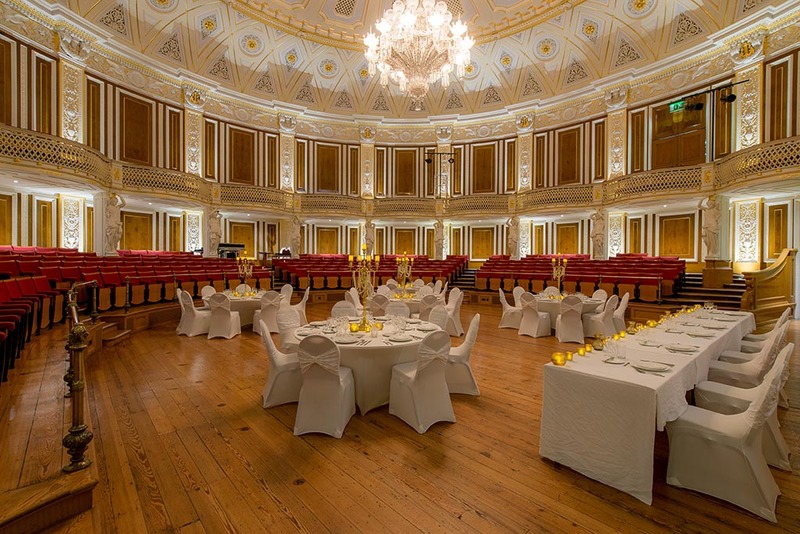 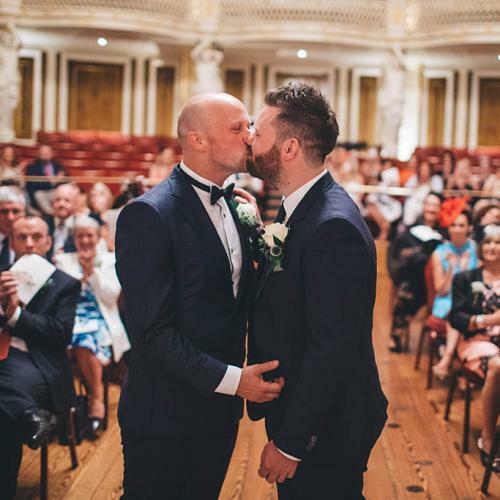 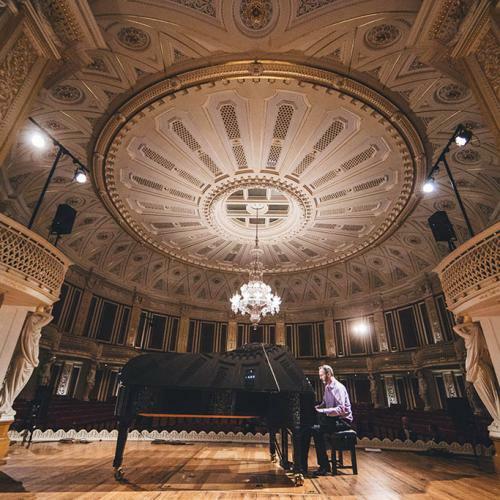 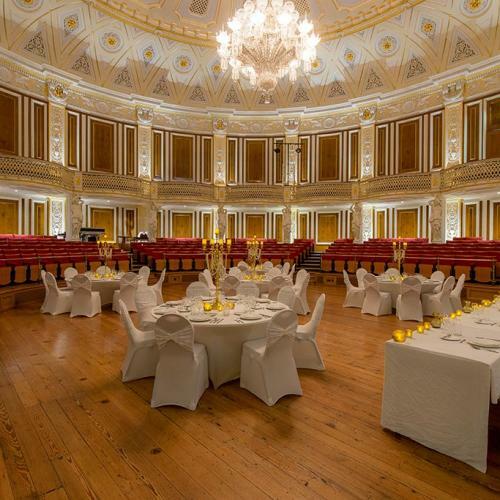 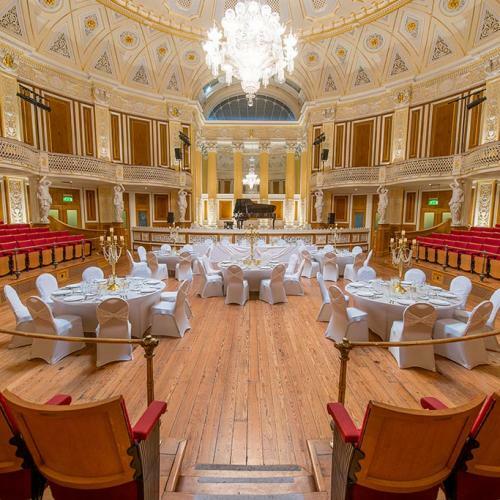 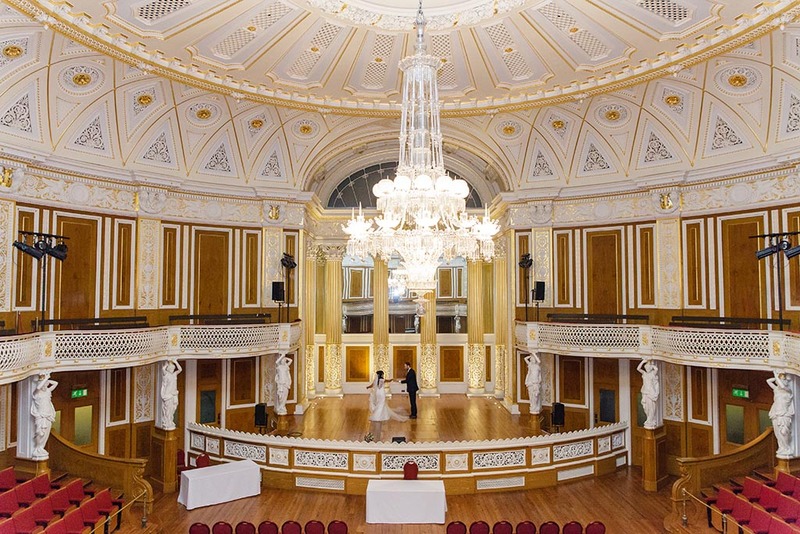 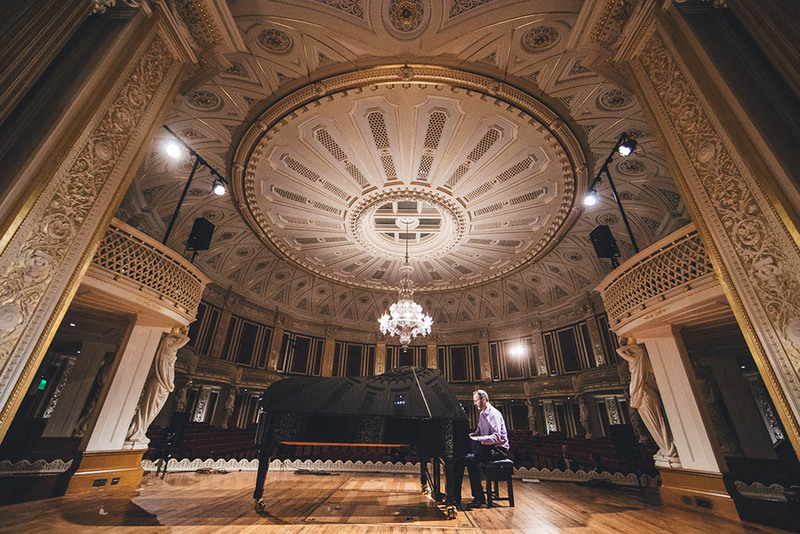 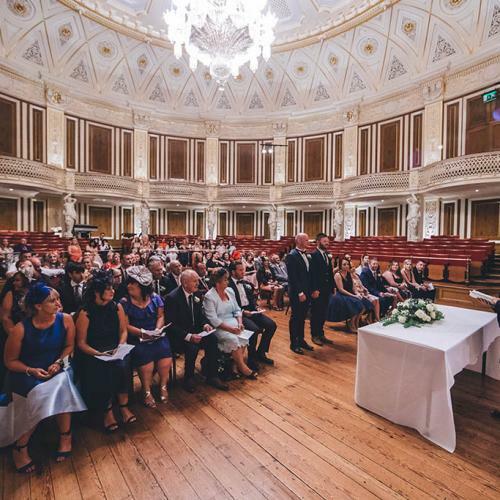 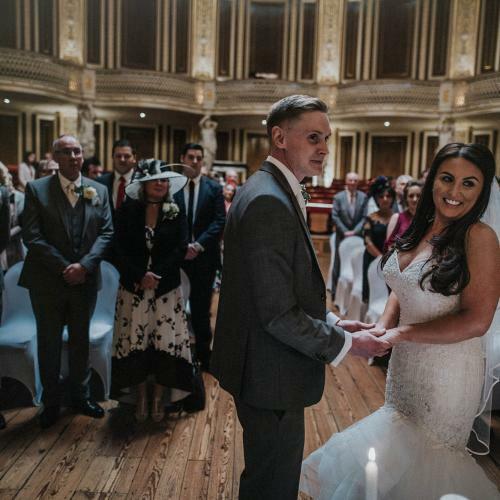 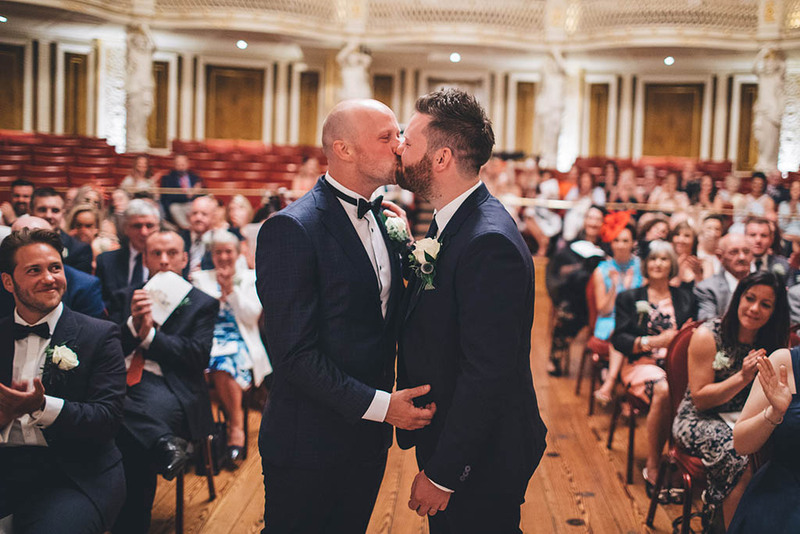 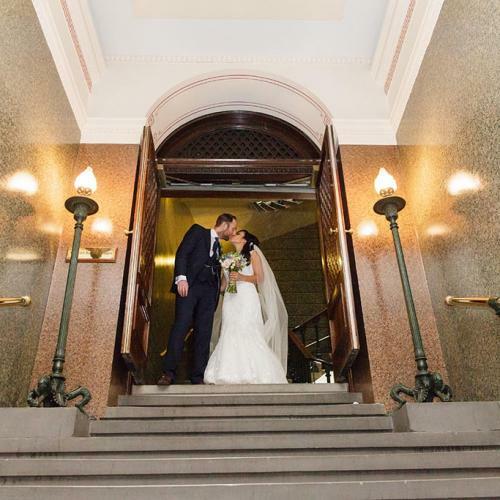 We are thrilled to have been the first couple to get married in St George’s Hall; the Concert Room made the most breath-taking venue with everyone we love around us. 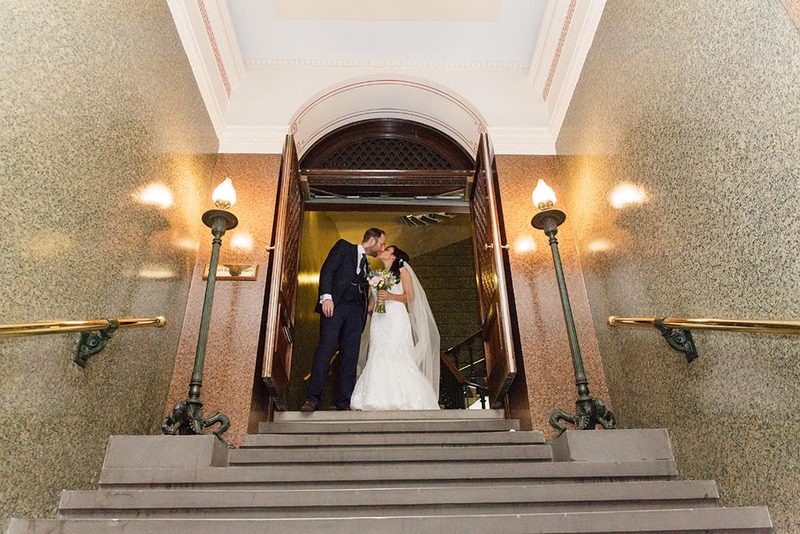 We jumped at the chance to have our wedding here as it’s such an impressive backdrop, with St John’s Gardens and unique views all around that have given us so many stunning memories in our photographs. 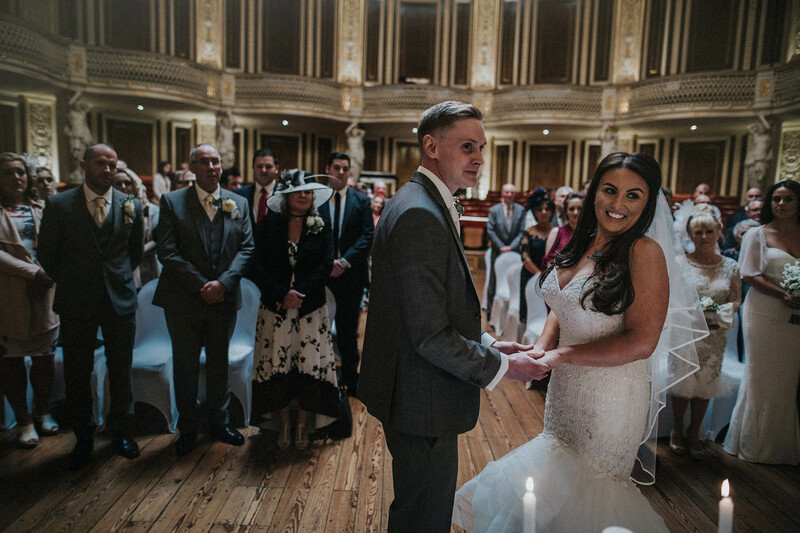 What’s more, the team at St George’s Hall couldn’t have done more to make our day very special. 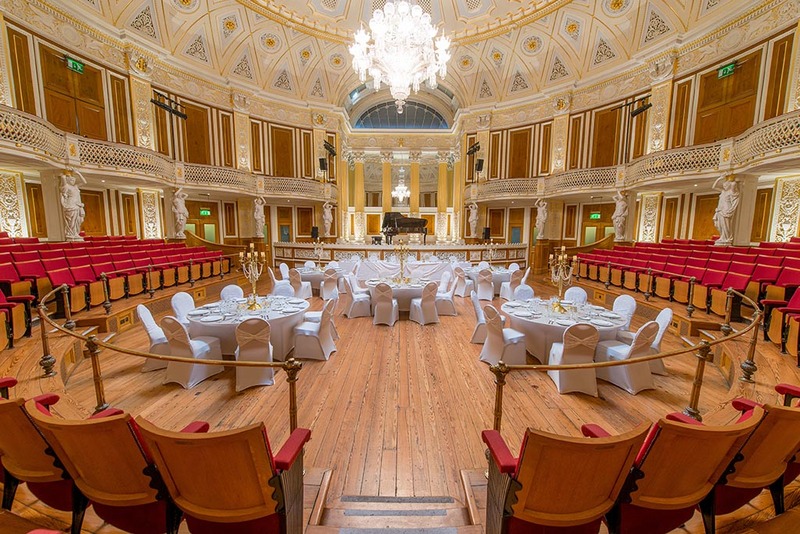 View further information on the Concert Room.